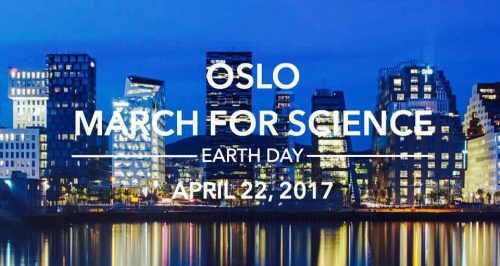 It is inspiring to see people around the world mobilizing and marching in the name of science. A strong commitment to science is critical at a time when temperatures are rising, glaciers are melting, and seasons are shifting, and when humans and other species risk being displaced from their homes and habitats. There is no doubt that we need to take a strong stand for science. But it is also important to take a stand for social science, and to stand for a science that connects with society. Why? Well, scientists tell us that we are living in the Anthropocene, a geological epoch where humans have become a dominant force on the planet; we are shaping its future and our future. Many of today’s problems are linked to our relationship with the environment, with each other, and with future generations. These relationships influence the decisions and actions that we take, as well as the ones that we do not take. I am a social scientist, but I fell madly in love with the natural sciences in my twenties. This was the hot summer of 1988, when James Hansen testified in front of a Congressional subcommittee in the United States. He said that the science of climate change was real and that it was time for action. I didn’t have any knowledge of climatology, ecology, statistics or remote sensing, but I really wanted to learn and to understand what climate change means for society. I was fortunate to receive a NASA Global Change Fellowship to explore the relationship between deforestation and climate change in Mexico. My research focused on atmosphere-biosphere interactions, but it also looked at the politics of deforestation. It became clear to me that if we want to understand and address environmental problems, we need both the natural and social sciences to work together. In other words, we need a science that takes the human dimensions seriously. Our beliefs, values, worldviews and paradigms shape social relations and power relations, and together they influence the questions that we ask and the solutions that we identify and prioritize. Science is seldom a neutral, objective process, and without the social sciences and humanities we risk making decisions that yield short-term gains over long-term security, or taking actions that benefit some but not others. We also risk becoming blind to solutions that are right in front of us. Fortunately, science is a process that encourages us to continuously ask questions and to challenge assumptions, and it allows us to do controlled experiments in a rigorous and ethical manner. It also enables us to take the question of “what if?” seriously. And this is important. Think about it. What if we continue along the path we are heading? Alternatively, what if society were to take climate change science seriously and fully engage with transformations to sustainability? I am marching for science because we need integrated research to address complex global challenges. We need research that excites and engages society in equitable, ethical and sustainable transformations. So let’s remember that the March for Science is actually a march for both science and society. Let’s make it a social march!